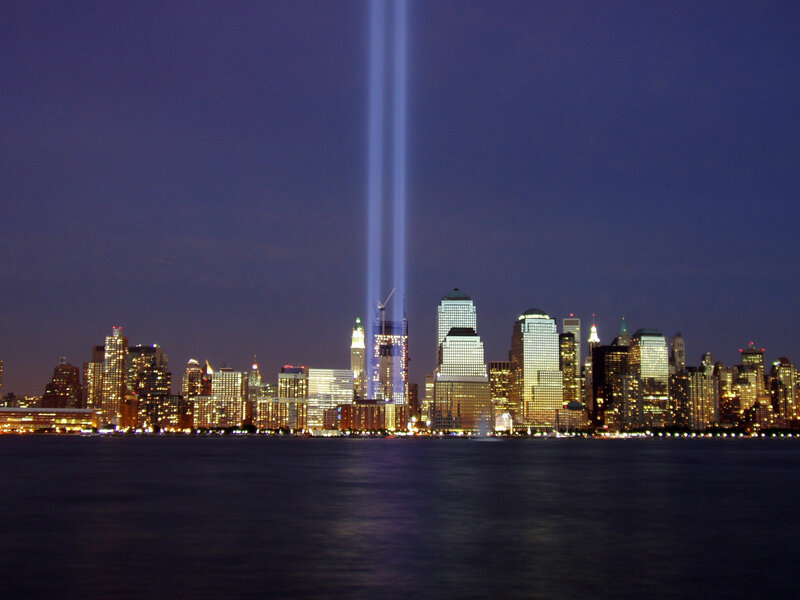 Yesterday marked twelve years since the despicable attacks against the innocent thousands at their jobs in the World Trade Center Towers, the Pentagon and against the passengers of Flights 175, 11, 77, and 93. The depth of hatred for this country by those who withhold freedom from their own people and choose death as a weapon against all who oppose them, is unfathomable. There is no reforming it, there is no justifying it, there is no understanding it. There can be no conciliation with evil. Many of us still remember the shock we felt from that day. Despite best efforts to the contrary, we are forever changed by it. But the way we responded as Americans deserves equal remembrance. We joined together, united in our common identity as Americans, comforting those in grief but resolute in who we are and what justice demanded be done. We flew the flag proudly, without shame or apology because we were not to blame for the wrongs inflicted among us. We knew America was the moral force for good in this world. It was not a blind refusal to see her faults, but it was not a psychotic inability to see the immense good America represented. It was the power of its ideals that rekindled a genuine and nationwide patriotism. It was not long before a small percentage of the population — members of the modern Left — embarrassed and disgusted with this “corny” love for country, began a drumbeat that would not only discredit President Bush but dispirit and divide the nation again. The flag has long been offensive to them and so it ought to be intolerable to others, they intoned. For these unhappy souls there is nothing to love without complete and absolute perfection. It is no wonder they are so unhappy here. The appreciation of what is good and beautiful in this imperfect world must be quite lost on such sad people. Even with confronted with the only Perfection ever to visit earth, they reject Christ, ridiculing anyone who wears the name Christian. It was clear patriotism had to be redefined if the Democrat Party was ever going to win another election. A simple love for country was too much to espouse for these discontented folks. Hillary Clinton stepped forward to laud true patriotism as dissent, the courage to see and criticize America’s faults. Howard Dean screamed the mantra that the flag belongs to everyone, not just Rush Limbaugh, despite the fact that the only persons burning it, cheering for its defeat and encouraging our enemies were Democrats like Dean. Of course, we recall Michelle Obama’s profession of pride in America only after electing her husband. Nothing remotely good or praiseworthy preceded this, apparently. Unprecedented liberty, opportunity, the individual exceptionalism that recurred for millions coming to America, our fight over slavery and the protection of civil rights, the story of our march from the political, religious and economic tyranny of the Old World did not count, it seems. Then there is the President’s distinction, when asked September 4 whether his credibility was on the line, between himself and America, saying, “My credibility is not on the line. The international community’s credibility is on the line. And America’s and Congress’s credibility is on the line.” So America has to fend for itself when it comes to credibility? The President has no role in upholding American credibility now? Patriotism should not be exclusive to any political party in this country. It speaks to how far the Democrat Party has strayed from its roots. Patriotism was not so confused a concept to Coolidge. 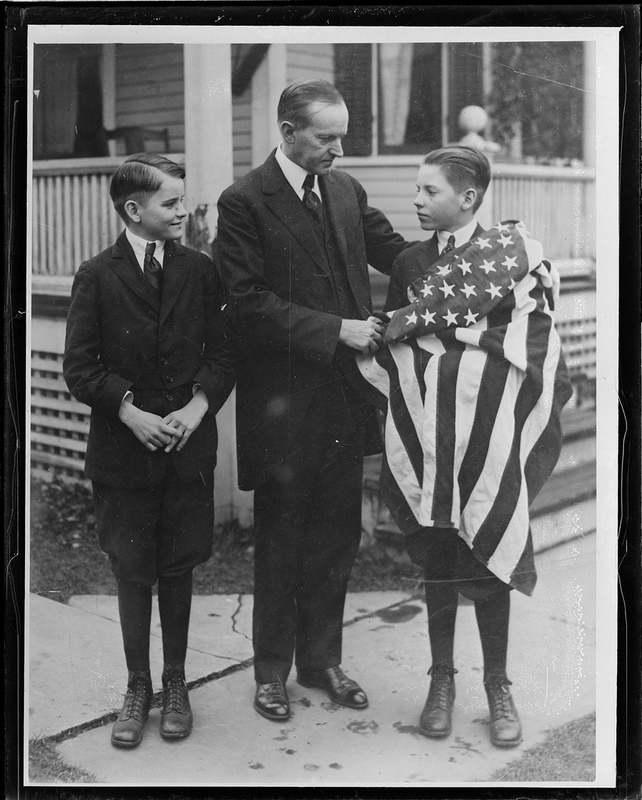 Coolidge did not live blissfully unaware of America’s short-comings, but neither did he insist all flaws be removed forthwith before disbursing love and admiration for his country. He always found a greater number of reasons existed to love, not hate, America. He refused to see only the negative. He lived in reality and as such knew patriotism inspires improvement through the pursuit of ideals. It has defined America’s entire history.